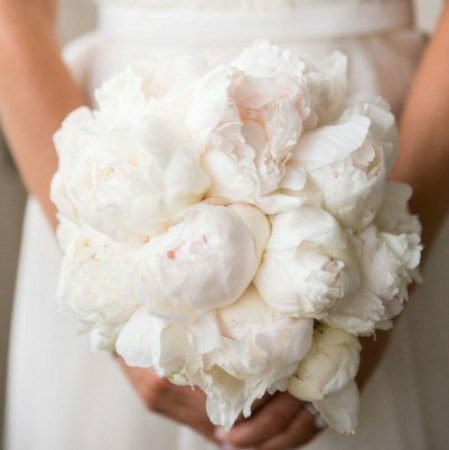 A gorgeous clustered wedding bouquet of all white peonies. Simple and elegant in its design, this bouquet allows the exquisite beauty of the peony flower blooms to speak for themselves. A variation of the bridal bouquet design is available for bridesmaids based on the above sized prices. Wedding bouquet handles wrapped either as `gripbound` or fully covered in white or ivory satin or organza ribbon. Optional bridesmaid bouquet handle either `gripbound` or fully covered in a satin or organza ribbon to match dresses (please specify preferences and ribbon colour details in the `Special Delivery Instructions Box`). Season Availability: Early November - Late December. Imported peonies can possibly be sourced during the winter months. 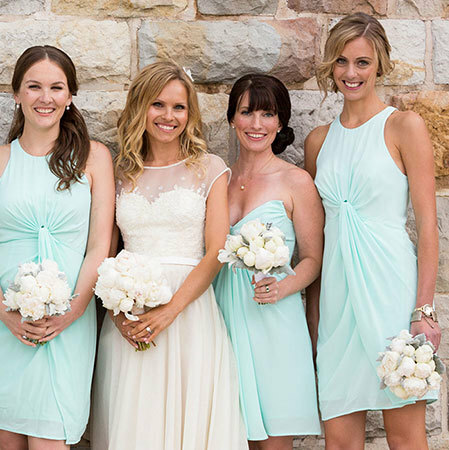 Order Cut-off: Minimum one month prior to wedding is preferable to ensure supply of flowers.